Eat. Sleep. Ride. It’s an easy mantra to adopt. And considering the rise of mountain bike retreats all across the country in recent years, which specifically cater to these three pillars of the riding and post-riding world, it's become a reality. The basic premise? Fine folks with a hospitable vision and a hankering for singletrack get together to create trailside havens in desirable tracts of trail-strewn wilderness—complete with lodging, food, brews, and more—and offer a jumping-off point where riders can roll out of bed and right onto singletrack. As Eva Surls, founder of The Bike Farm mountain bike retreat in Brevard, NC, puts it: "We want folks to carry the stoke from the day's ride back to the fire pit at night.” At these locales, mountain biking isn’t an amenity; it’s the priority. Here are some of the top spots across the U.S. for a mountain bike getaway. It’s no secret that Southern Appalachia is a mecca for outdoor lovers of every stripe. 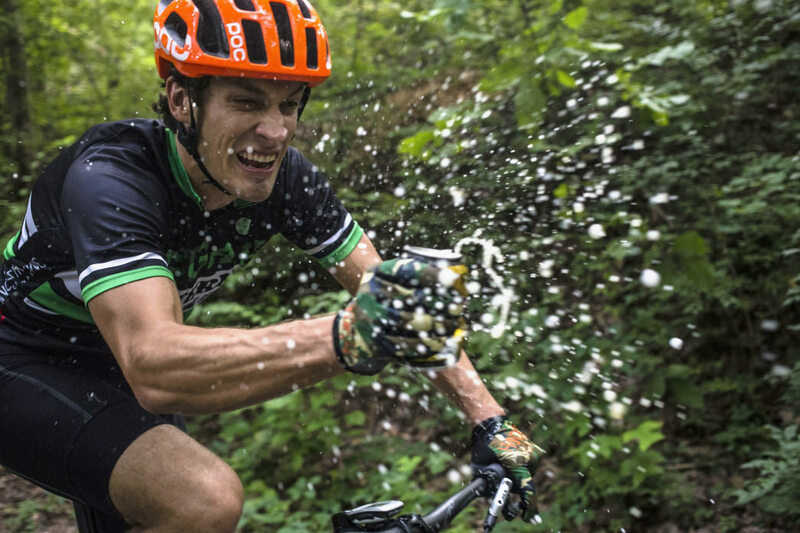 For mountain bikers it doesn’t get much better than heading to the hills of Western North Carolina to ride in the sprawling 500,000 acre Pisgah National Forest. Just south of Asheville, in Brevard, The Bike Farm is a turn-key destination with guiding services, skills workshops, rentals, and a base camp. Accommodations come in several varieties: Car camping along the main road, forest camping for privacy and a woodsy experience, tent camping, and “glamping.” All the options have access to hot showers, drinking water, and The Bike Farm’s private trails. Tent camping sites feature wooden decks—a dry, level spot to pitch your tent. Glamping brings six-person tents with real beds and porches; a couple even have lighting and electricity. For groups, the Bike Farm can supply local chefs, like Evan Timmons of Asheville’s Buxton Hall Barbeque, to serve breakfast, dinner, and pack lunches. The skills zone features progressive drops, step ups/downs, teeter totters, and other obstacles. If you’re ready to hit the trails, the DuPont State Recreational Forest and the Pisgah National Forest lie less than 15 minutes away. 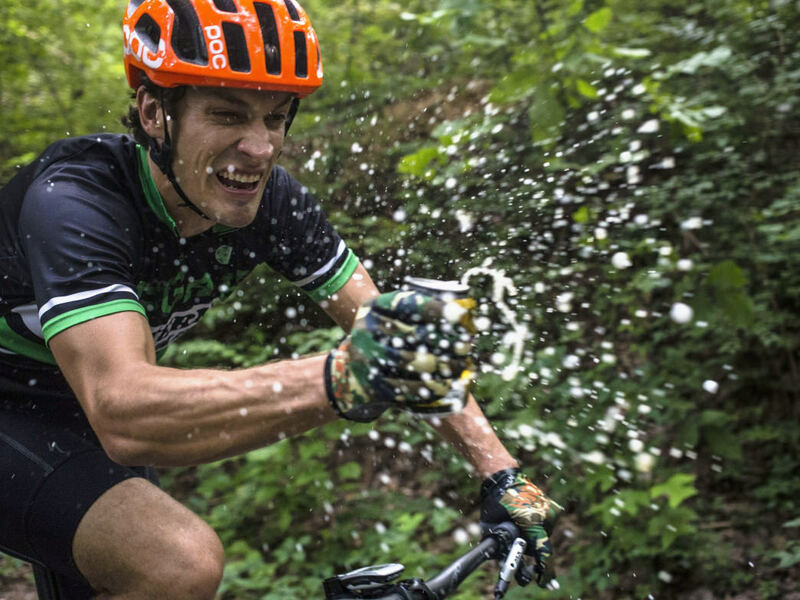 It’s a four-season establishment (you might need your fat tire bike for the winter season depending on the weather), but a prime time to visit is during October’s Pisgah Mountain Bike Festival, which it co-hosts with Oskar Blues Brewery’s nearby REEB Ranch. Speaking of REEB Ranch, it's another must-hit retreat for mountain bikers situated in the heart of Western North Carolina and DuPont State Forest. There are plenty of places to spin your cranks on the ranch itself—from the extra-large flow track to the mountain bike park with a dual slalom and two jump lines. You’ll need the practice for Pisgah, which is known for its rocky, root-strewn trails, leafy-tunnel singletrack, and trailside creeks. Ranch accommodations range from creekside camping (did we mention there are a lot of creeks?) to glamping in a retro Airstream. A barn apartment overlooks the bike park and a 1940’s-era log cabin is suited to families. After you’re sweat-drenched from the trails, you can visit the onsite Oskar Blues Brewery—folks from the brewery created the ranch in 2014 to complement the area’s beers ‘n bikes philosophy. Mulberry Gap has one of Georgia’s top trails right on its rustic doorstep: the celebrated Georgia Pinhoti Trail. This IMBA EPIC trail features roughly 140 miles of some of the sweetest singletrack in the Southeast. It combines double-track climbs, ridgeline riding, and bumpy descents through scenic hardwood forests typical of Northwest Georgia’s Chattahoochee National Forest. Mulberry Gap opens its tent camping sites and cabins (both individual and bunk-style) for trailside accommodations and offers a one-stop-shop for riders of all ability levels. All accommodations come with access to the bike wash, bike repair parts and tools, and hearty homemade meals to fuel up for rides. “No-shame shuttles” transport you to the trails (at an additional fee). You can access the bike park, ride on your own, or join single or multi-day guided rides. Mulberry Gap also specializes in camps for certain skills or people, such as its ladies’ clinics. Set north of Missoula, against a backdrop of some of Montana's most spectacular backcountry, Whitefish Bike Retreat is located nearby Glacier National Park, Flathead Valley, and Whitefish area trails. Cyclists can also easily connect to the Adventure Cycling Association’s Great Divide Route, Northern Tier Bicycle Route, and Great Parks Bicycle Route—all cross-country routes that beckon thru-riders. But, it all starts at the retreat itself. A skills area features a rambling elevated wooden feature perfect for cruising, plus skinnies, log and rock obstacles, and cascading berm turns. From there, the Whitefish Trail System features 10 trailheads and more than 36 miles of natural surface trails of stacked loops, singletrack, and logging roads. In winter, the retreat grooms loops for fat biking on the property, which lead to ungroomed—though still passable—sections of the Whitefish Trail. Guests can opt for primitive, wooded campsites (with bike racks and a bike-wash station) or the lodge with slightly more amenities, including secure bike storage and a self-serve bike shop outfitted with cleaners, tools, and a stand. For those seeking backcountry, no-frills accommodations, Sun Valley Trekking’s Coyote Yurt is your pick. The Coyote Yurt (actually two yurts connected with a porch, so it looks like a barbell) perches at 8,700 feet above Sun Valley at the junction of the area’s best backcountry singletrack. Edge of the World and Curly’s Trail feature flowing descents of 1,000-2,500 feet. The yurt is simple but well outfitted, with a propane stove, barbecue grill, bunk beds, solar-powered lanterns, and other amenities. You need to pack in your sleeping backs and food. Sun Valley Trekking makes coming down from on high easier with optional guided rides, porter service (where they carry your gear to the car), or prepared meals. There’s little better than returning from a long ride with cold beer waiting and dinner already sizzling on the grill.